Here we have the Numark Sing Master in B-Stock. The B-Stock versions would have been on display at a training evening or trade exhibition only and will come boxed 'as new' with all accessories and a 1-year warranty. 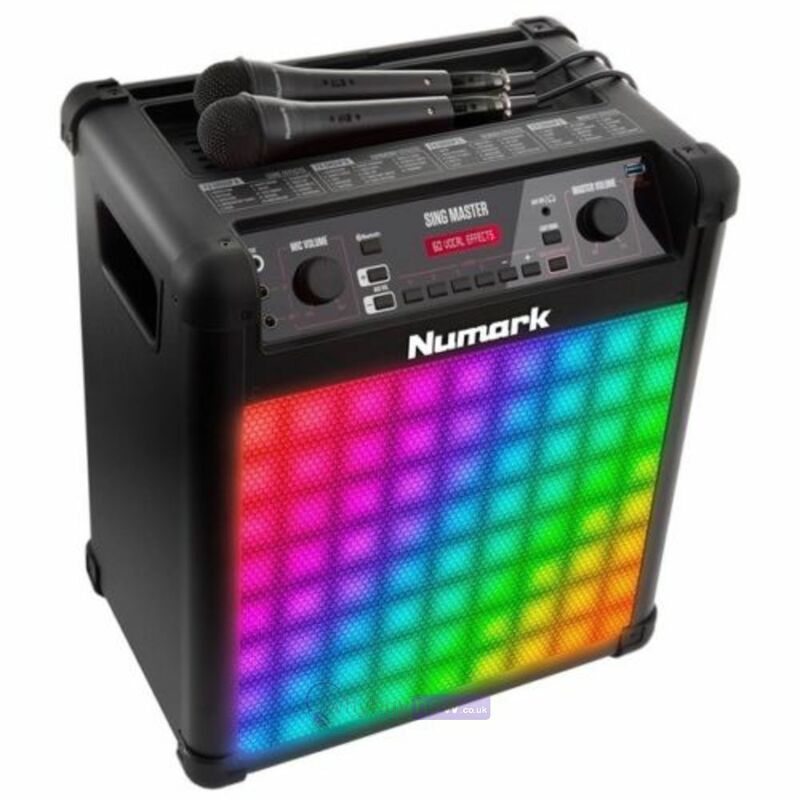 The Numark Sing Master karaoke sound system offers unlimited fun and will make you sound awesome with its voice correction settings. The 60 exciting vocal settings can turn the singer into their favourite pop star, add reverb and even switch vocal genders. Plus, the special vocal correction processing always keeps the singer in tune, no matter what. The Sing Master will even fill large spaces with vibrant, lifelike sound, thanks to its 8-inch 2-way speaker system powered by a 50-watt amplifier. It features Bluetooth streaming, exciting sound-reactive LED lights and includes two high-quality microphones. Sound just like your favourite singer and be the star of the party! 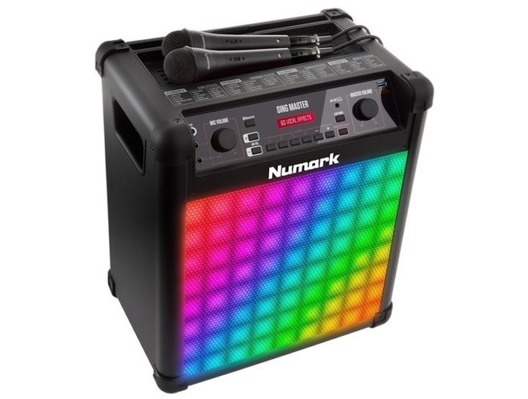 Karaoke is sure-fire fun at any party, and Numark's Sing Master brings that fun to a new level. That's because Sing Master isn't just any karaoke system. It's got 60 exclusive vocal processing settings that add the perfect touch to any vocal performance. Add dramatic reverb, sound like a Pop or Rock Star, Rap artist or even alter your voice to sound like Barry White or PopEye. It's endless fun, unlike every ordinary karaoke machine out there. This rugged speaker streams your favourite YouTube karaoke music from any Bluetooth device and pumps out great sound through its 8-inch 2-way speaker and powerful 50-watt amplifier. Its built-in sound-reactive, colourful LED lights-with multiple display patterns-deliver great visual effects that turn the ordinary into the extraordinary!